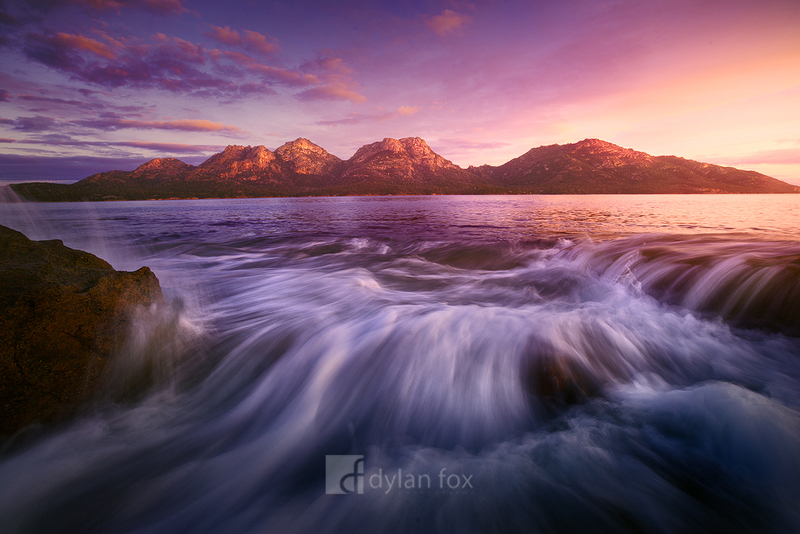 This photograph shows the last light of day bathing 'The Hazards' in Tasmania's beautiful, Cape Freycinet National Park. If you plan to visit Tasmania, this part of the beautiful island state, is a must! On the other side of the cliffs picture here, is Wineglass Bay, which is one of Australia's most stunning beaches! Secure your limited edition, Cape Freycinet print, 'The Hazards', by selecting your desired print size in the menu to the right.